During a short trip to So Cal I decided to take a few friends on a local hike. Of course during the my entire visit, the entire west coast was getting hammered with rain. However, Sunday offered the best chance of getting out and hopefully avoiding some of the weather. The plan was to re-visit an old wreck site I had been to years ago. From what I remembered it was a fairly easy hike, however last time I didn't have the weather slowing down the effort. 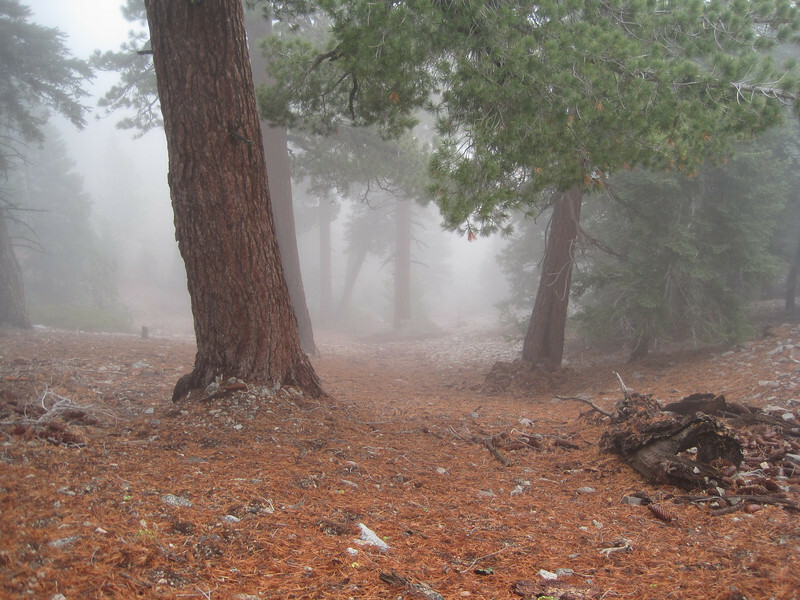 The Goal: Hike 6 miles into the forest at an elevation of 8200' to a C-119 that crashed 30 plus years ago. The Challenge: 30 degree weather, dense fog, rain, ice, snow and 50 mph gusts along the ridge.